Allow us to introduce you to these shoes. 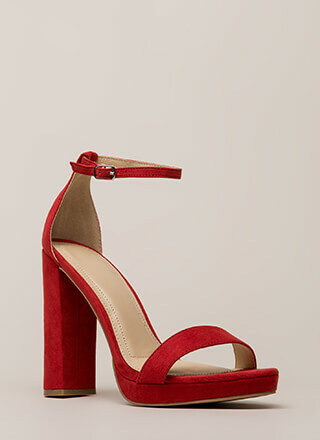 We think you'll wanna link up... Open-toe heels feature skinny straps trimmed with metallic linked chain -- a toe strap, a slingback strap, and an ankle strap with an adjustable buckle. Shoes are finished with a stiletto heel and a ridged sole.